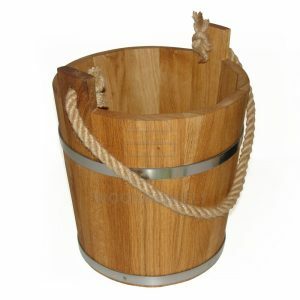 Handmade according to traditional methods 20 litres Oak Water Bucket. 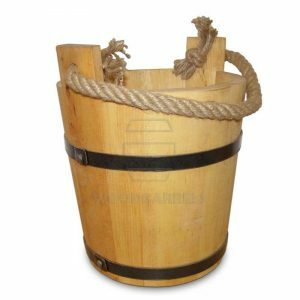 Finished with choice of two steel or black painted hoops and metal handle. 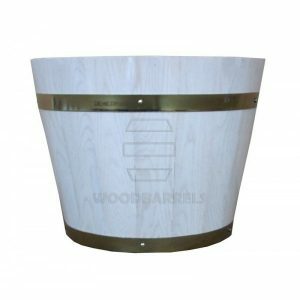 Can be used for both decorative and practical purpose in your garden as well as at home. 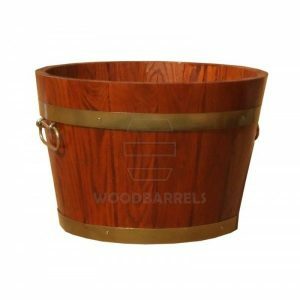 Every wooden product in our shop is water tight as it is sealed with sweet flag (kind of reed). 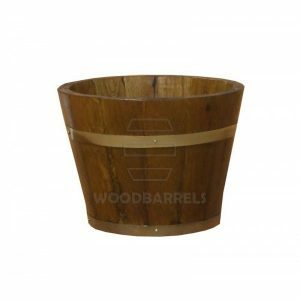 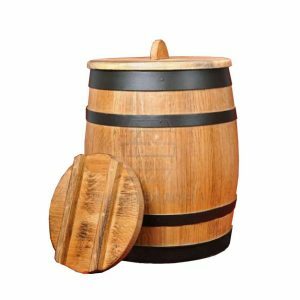 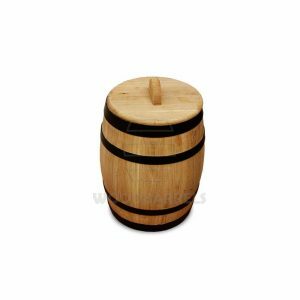 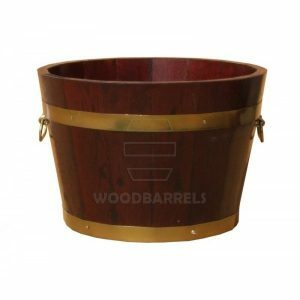 Our large oak water bucke is wider at the top -diameter 32 cm, and height 37 cm. 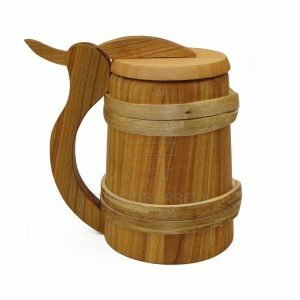 It’s quite heavy due to the solid oak wood used for its production. 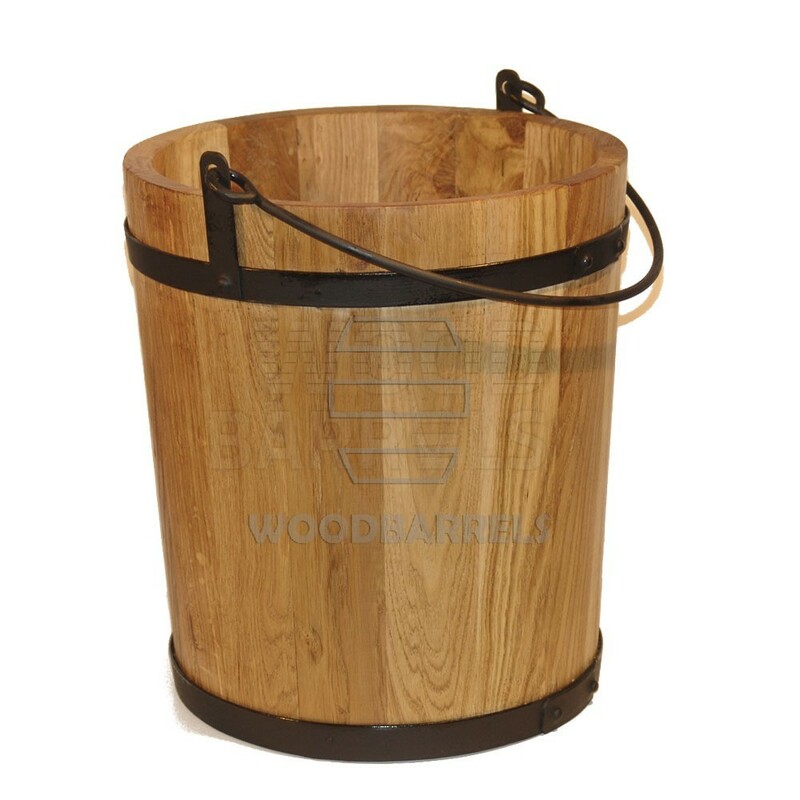 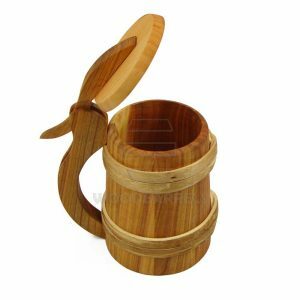 This oak bucket is ecologically made without use of any glues or paints.